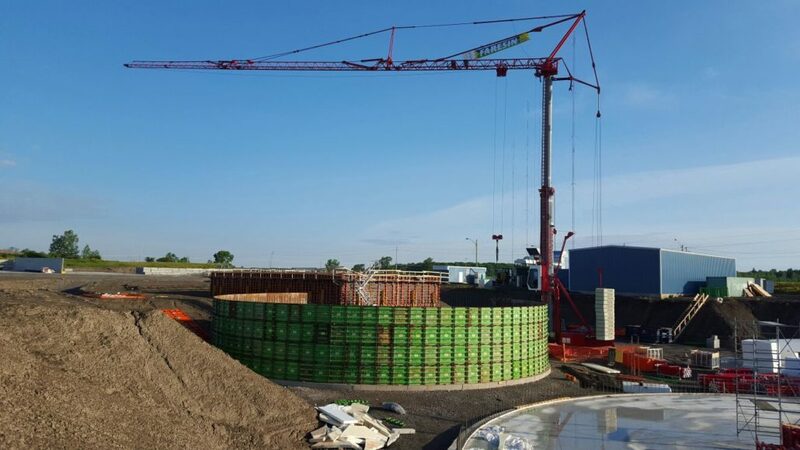 Solutions adaptable to any requirement, work site and use conditions to erect circular tanks with a radius of up to 40 meters. Produced in the Italian mechanical engineering centre of Breganze, they assure perfect structure tightness and combine quality, versatility of accessories and long service life, in compliance with the high site safety standards. 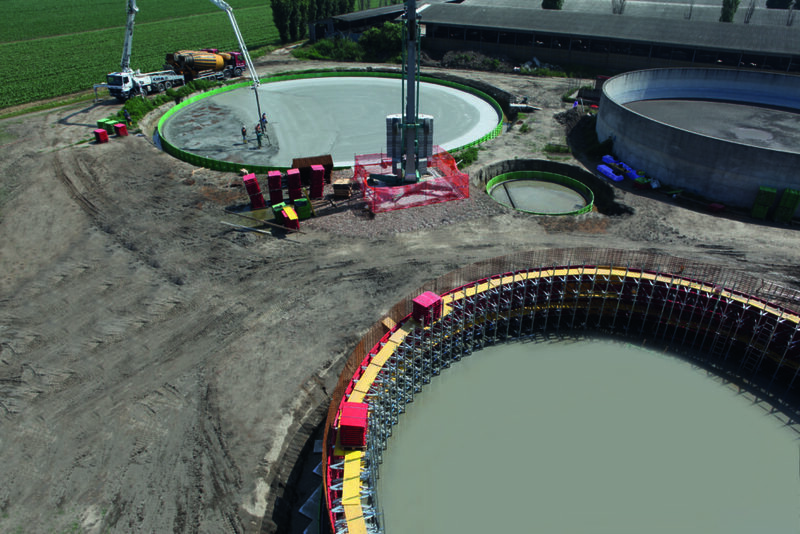 The BioGas System permits the construction of circular tanks with a minimum radius of 7 meters and ensures the perfect tightness of the structures without having to use tie rods. 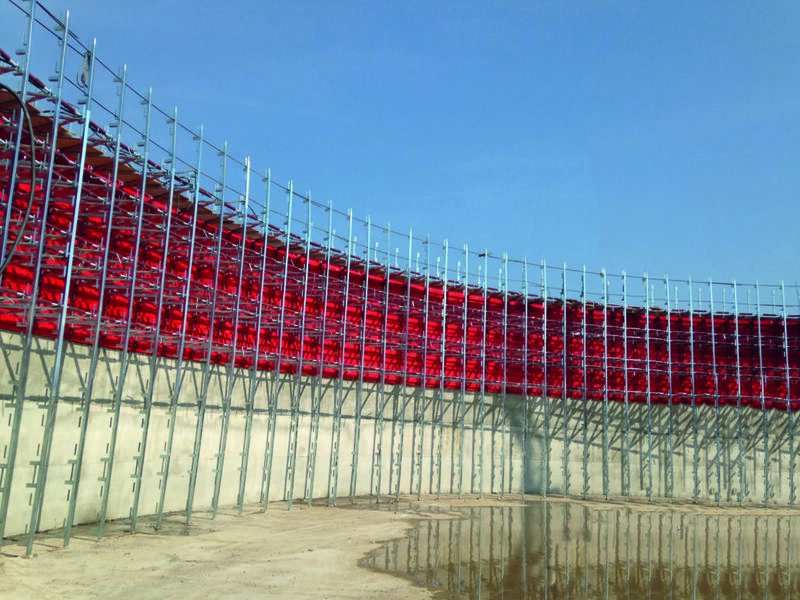 It consists of completely metallic panels with reduced dimensions and whose surface turned towards the cement pour, calendered with a very large curvature radius, is concave or convex depending on whether the panels are for shoring up the inner face or the outer face of the circular pour. The horizontal sides of the panels are flat and have holes for the vertical tightening accessories or the parapet uprights. 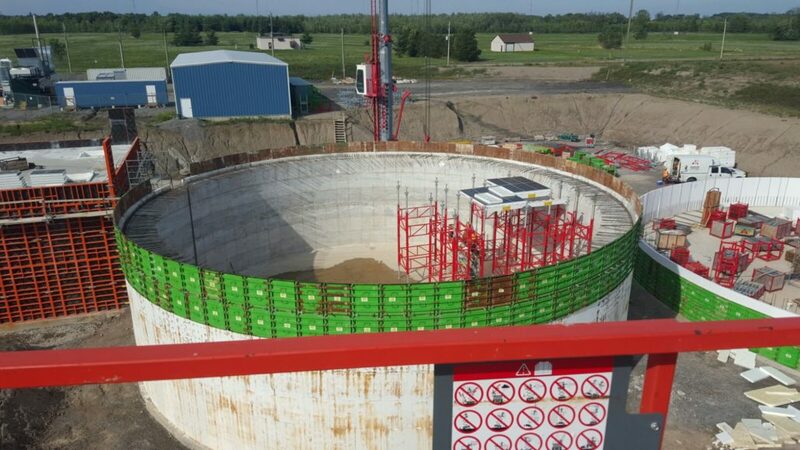 As well as fixing to the adjacent panel by means of wedges, the inside panels are connected by fixed or adjustable props to vertical struts, creating a support structure suitable for supporting the pressure of the concrete during the pour stage. 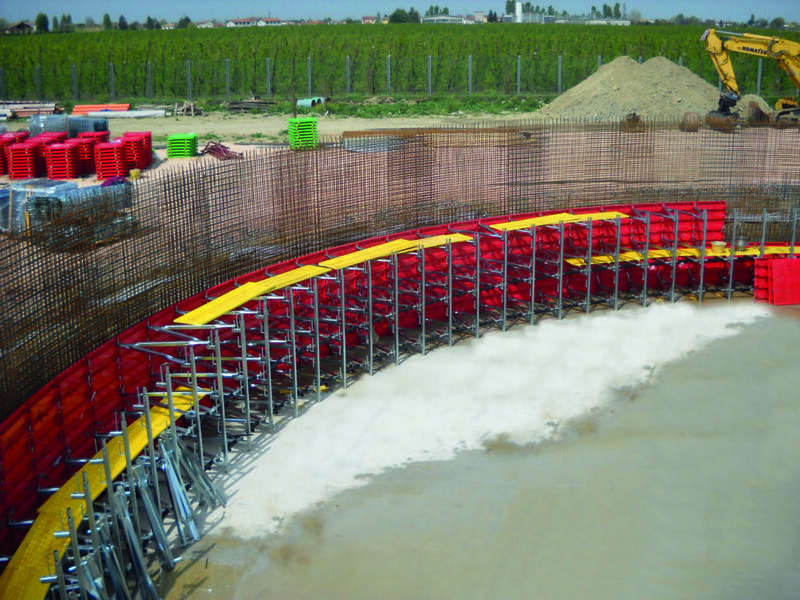 Furthermore, it creates an adequate and safe working platform for the workers during the pour casting. 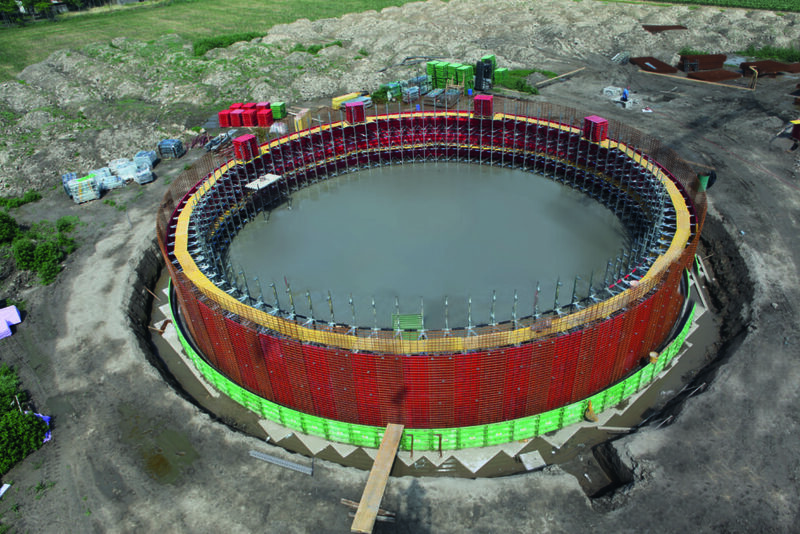 Faresin Formwork specialises in formwork systems for the construction of circular biogas tanks without through bars. 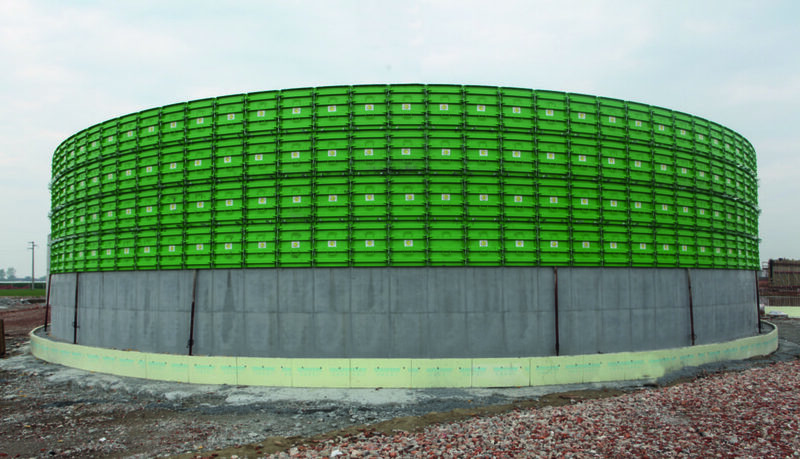 The BioGas System offered by the company – one of the most modern and efficient biogas tank construction systems – is based on the use of full-metal, reduced-size panels. The cement cast-facing panel surface, calendered with a very broad curve radius, is concave or convex depending on whether they are reinforcement panels of the inner side or the outer side of the circular cast. 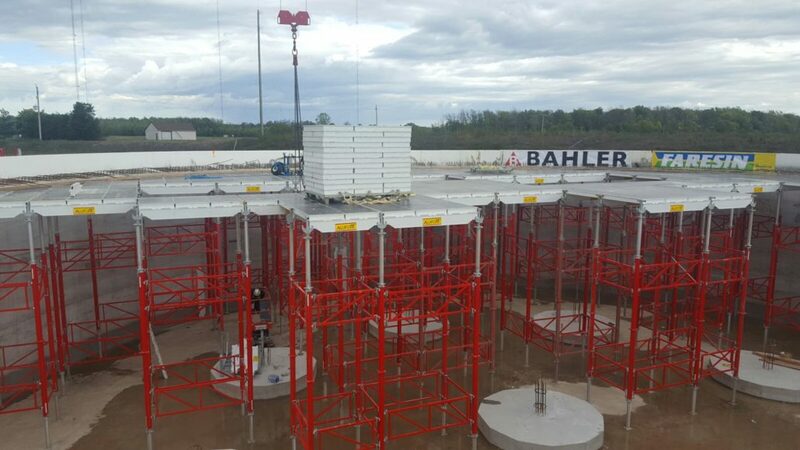 Accordingly, with this system it is possible to build circular biogas tanks with a minimum radius of seven metres, all the while ensuring the perfect tightness of the structures, without having to use any tie rods. 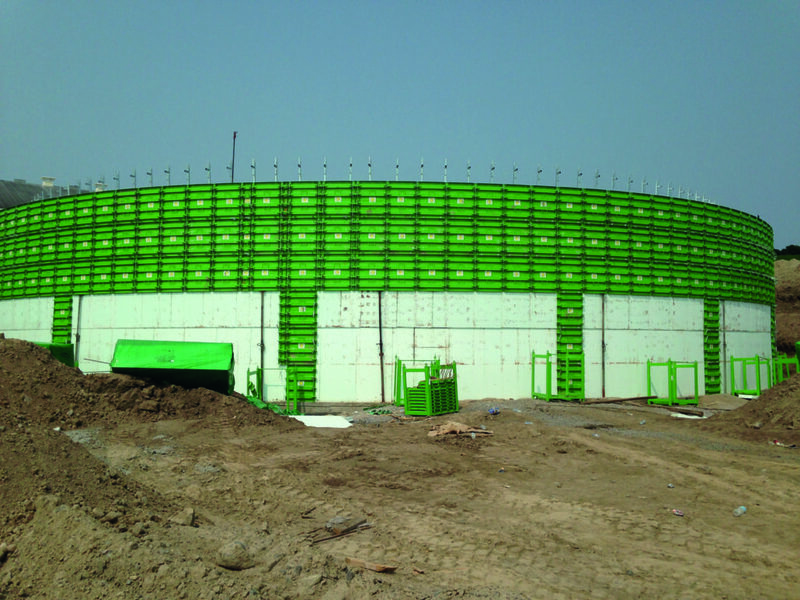 Specifically, the horizontal sides of the panels for biogas tank construction are flat and perforated to fit either vertical tightening accessories or railing uprights. 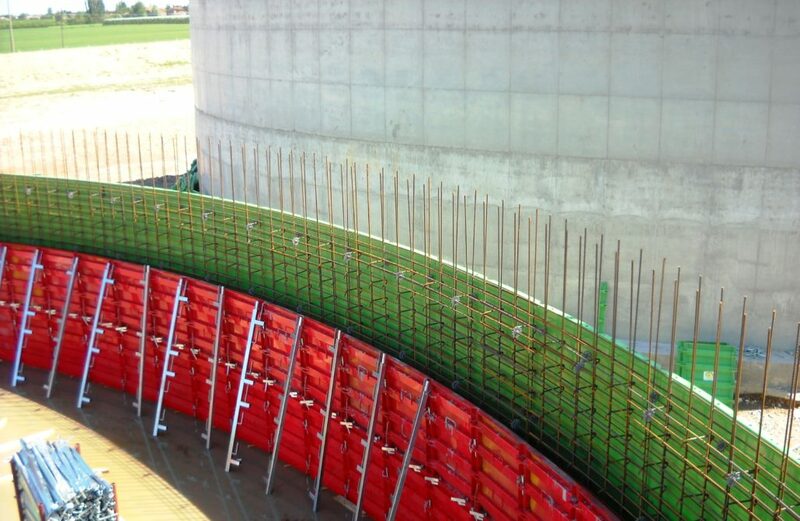 The internal panels, joined to the adjacent panel by wedges, are then connected to vertical columns with fixed or adjustable struts, thereby creating a supporting structure that is able to withstand the pressure of the cement during casting. A suitable work surface is also created, where labour is stationed during casting. 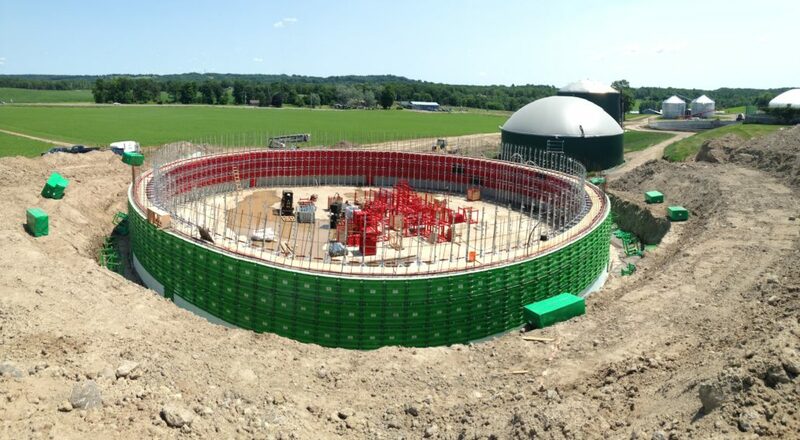 Faresin Formwork has carefully developed all of the components required to build biogas tanks quickly, safely and efficiently. Ranging from external to internal formwork, as well as special panels for removal. Completing the offer are fixed and adjustable struts, vertical uprights and all of the tightening elements.